With summer upon us, traffic congestion and high gas prices are never far off. Fortunately, there are things businesses can do to prepare for the inevitable return of both. 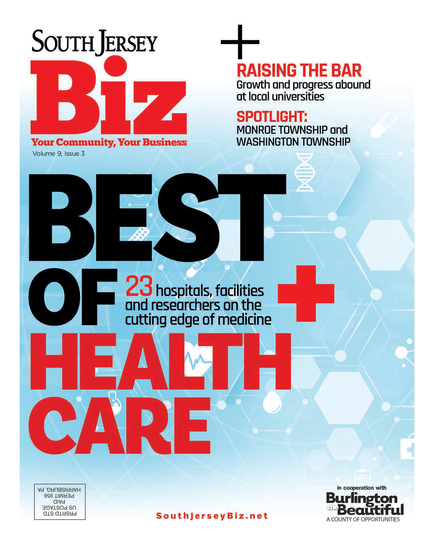 Here are five tips offered by Bill Ragozine, executive director of Marlton-based nonprofit Cross County Connection Transportation Management Association. 1. Know the value of transportation alternatives. Do you realize the use of transportation alternatives by your staff can save them money, make them happier and more productive, and save your company money? A carpool of three individuals could take turns driving one week each, thereby saving 2/3 of the cost for gas and maintenance. And, peer pressure results in timely arrivals as a result of concerns that one late person makes the entire carpool late—an obvious benefit for the company. 2. Transit is a great option. South Jersey has some wonderful transit options and many are right around the corner. With transit, no one has to drive and you can’t beat the price. If the nearest transit stop is too far to walk, NJ Transit and BurLink buses have bike racks. Visit TransitLocator.com to see the transit information for your area. 3. There is an abundance of commuting options. The options for commuting include—but are not limited to—carpools, vanpools, transit, walking, biking and teleworking (working from home/satellite location). And, if the thought of carpooling concerns you, remember that you can carpool as little as once a week and still save money. 4. Encouraging transportation alternatives can get your company recognition. There is a statewide program called the “New Jersey Smart Workplaces Program.” It tells the entire state and region that your company is unique among thousands of businesses in the level of support you provide to your employees. 5. You can get lots of free help and guidance. Cross County Connection TMA is a nonprofit that is funded by the New Jersey Department of Transportation, NJ Transit, U.S. Federal Highway Administration, the North Jersey Transportation Planning Authority and the Delaware Valley Regional Planning Commission to assist companies in developing transportation alternatives programs and policies, and our work is free for the asking. Visit DriveLess.com or call (856) 596-8228. Published (and copyrighted) in South Jersey Biz, Volume 2, Issue 5 (May, 2012).